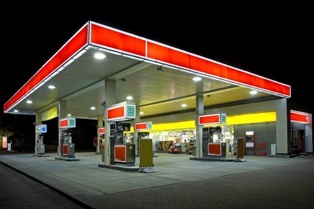 Fire Insurance for Gas Stations and Convenience Stores | The Voss Law Firm, P.C. Most American households own at least one car, making gas stations a worthy investment for business owners. However, any profit gas stations and convenience stores earn can quickly go up in smoke if owners have not purchased adequate fire insurance. Attorney Bill Voss explores the many steps gas station owners must take to protect their investments, as well as how to select insurance options that will cover any losses. Fires and explosions. Gasoline is inherently dangerous, and insurance policies for these businesses should offer coverage for both fire and explosion damage. A higher fire deductible may allow owners to save money on premiums, but the costs will be much higher when it comes time to make a claim. Adverse weather events. Lightning strikes can cause power surges, igniting anything combustible on the property. Your policy should clearly state that you are covered for lightning strikes and lightning storms, as well as other weather events. Equipment losses. The loss of refrigerator cases, cash registers, and security systems can be especially costly to replace, so your insurance should include the replacement cost value for all expensive electronics. Structures and contents. When making a claim, consider the damage to the contents of the building as well as the physical structure. Be sure to take an inventory of food stock and consumer goods that were destroyed, as these items add up to thousands of dollars in losses. Business income loss. You may have to close your doors to the public until repairs are complete, causing weeks or months of lost income. Business income loss protection will reimburse you for these costs, and may pay for any extra expenses you incur during the closure. Building upgrades. You will be required to repair any damages in a way that is compliant with current building codes. If you do not have building ordinance coverage to offset this cost, you will likely have to pay out-of-pocket costs for upgrades. The risk of fires and explosions is a constant hazard at fuel stops, and owners should be prepared to meet these challenges head-on. Installing fire suppression systems and posting open flame warnings will not only help protect your customers, they may also allow you to save money on your premiums. Fuel storage and stocking errors. An excess stock of gasoline can make explosions more deadly, especially if a supplier does not use proper stocking methods. It is a good idea to have tanks inspected regularly and ensure that suppliers follow all safety precautions when restocking fuel. Lack of pump maintenance. Poorly-maintained pumps are a common cause of fuel spills, so pumps should be checked regularly to make sure they are operating at the right pressure and do not have any leaks. Electrical failure. Gas stations and convenience stores rely on a variety of electronic devices to do business, including pumps, ATMs, cash registers, coffee machines, and refrigerators. Any one of these can cause a spark if it has frayed wires, is plugged into an overloaded outlet, or overheats because it is left on after closing. If you are having trouble getting an insurer to cover the costs of a fire, we can examine your policy and get you the full amount you are owed. Simply fill out the form on this page today to contact the Voss Law Firm or order a free copy of our book, Commercial Property Owners Must Read This BEFORE Filing an Insurance Claim.